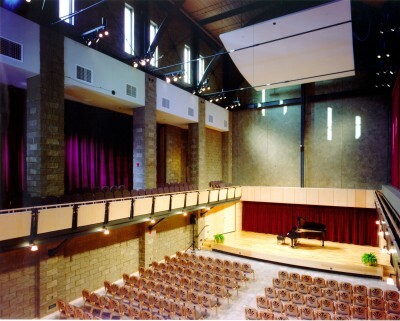 Rieth Recital Hall provides an intimate performance and gathering space with a design reminiscent of a medieval cathedral. The flat floor and moveable seating accommodate various room arrangements. Acoustical elements adjust to suit activities planned for the space.